A work crew boards up Wendy’s on Monday morning after closing on Sunday. The company said it plans to sell the site. Not anymore at Wendy’s restaurant on Jos. Campau, just south of Caniff. The company-owned outlet closed on Sunday, said Kitty Munger, Director of Communications for the company. Munger said the site will be put up for sale. The restaurant had operated in the city for 29 years. The site was once the home of the Martha Washington Theatre, one of the last movie theaters in operation before being torn down about a year before Wendy’s opened up. According to a report by the Columbus Dispatch newspaper, the Ohio-based company is closing about 130 of its restaurants that aren’t performing well. The company plans a major redo of its restaurants, much like Taco Bell has been doing in recent months. On her Facebook page, Mayor Karen Majewski was more concerned about the tearing down of the Martha Washington Theatre than the closing of Wendy’s. The last years of the theater were surrounded with controversy. That’s when the owner of the theater resorted to showing adult-rated films, which spurred residents to protest in front of it. Majewski noted that protecting the city’s urban character and historic buildings takes more than a strong zoning ordinance. The Zoning Board has allowed four mosques, a church and a non-profit organization to open up in commercial buildings on Jos. Campau in recent years, despite an ordinance forbidding that. 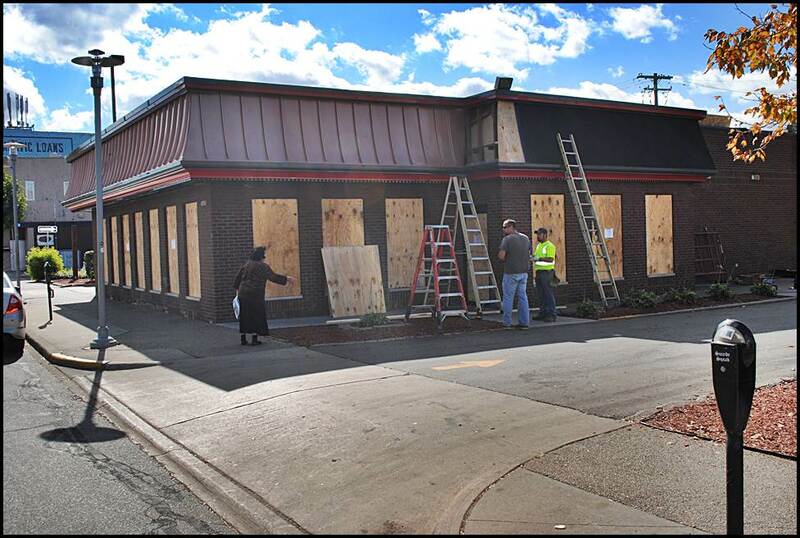 Sandy Bakic, whose family owns Campau Tower Hamburgers and Martha Washington Bakery next to Wendy’s, said she doubts there will be an uptick in business in either locations.